While the process of becoming a foster family in Pennsylvania requires forethought and planning, it’s worth every bit of effort. After all, 25,000 children in Pennsylvania are living without their families and are in need of supportive, structured homes. 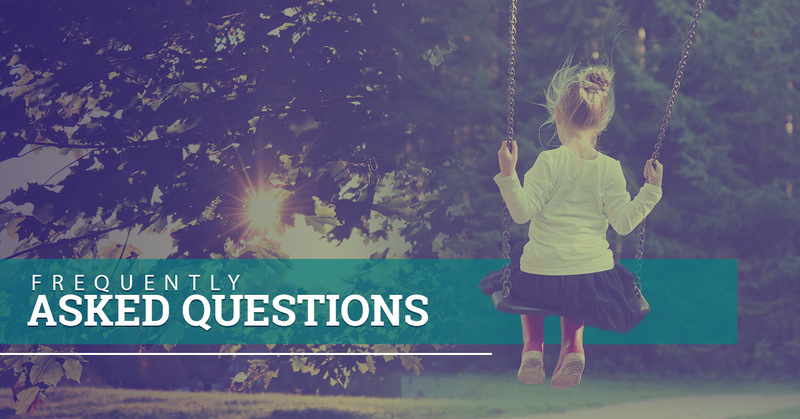 Our foster care agency in Pennsylvania, Family Care for Children and Youth (FCCY) developed this FAQ page to answer the most frequently asked questions we get about foster care, adoption, and how to become a foster parent in PA.
We hope that our resources assist you as you consider becoming a foster family in Pennsylvania. You should also consult our blog page, as we’ve covered many of these topics in more detail. If you have any additional questions or want to help a child in need in Pennsylvania, give us a call today! In cases of both foster care and adoption, a child in need is placed in a supportive home. The difference hinges on parental rights. For foster care, parental rights for major decisions still belong to birth parents (unless a specific circumstance makes this impossible) or the agency that oversees the child. With adoption, however, adoptive parents gain full legal rights and can make all decisions regarding the child. In both cases, the goal is to support the child and to have them in the healthiest situation possible. Do you also offer adoption services? Yes! We offer both family-based foster services and adoption services in PA.
Look at our individual service pages for more information about adoption in PA.
How long do foster children usually stay in a home? It depends on the situation. When possible, the goal of foster care is always to support a child while their birth parents are unable to do so. This means that foster care is, by nature, a temporary arrangement. In some cases, foster children are adopted by foster parents, but this is not necessarily the end-goal of a foster situation. How do I know if fostering vs. adoption is right for me? Usually, understanding the difference in parental rights and permanency is enough to make a decision about foster care vs. adoption. If you and your household want to start a family of your own, it is best to adopt a child in need. When you want to support your community and offer a safe space to a child in need, a foster situation would be best. If you have questions about your specific situation, be sure to give our foster care agency in PA a call today. What are the qualifications for becoming a foster family in PA? Each state has different qualifications for a foster parent, but here are the general guidelines for becoming a foster family in Pennsylvania. These are general guidelines; for more specific protocol, contact our team at FCCY today and we’d be happy to answer any questions! Is there a limit to the number of children I can foster or have in my home? Pennsylvania law limits the number of children under 18 in a foster home to six — this includes all children residing in the house, birth and adoptive or foster. Yes, you can foster a child if it’s just you. However, you must be able to pass the background requirements and demonstrate financial solubility in order to be approved. Do I need to work with a foster care agency? Yes. You will work with a foster care agency in PA to connect you with a child in need, complete the mandatory screening, and receive support throughout the process. Are there any mandatory trainings? Before you become an official foster parent or family in Pennsylvania, you must take a few steps through the University of Pittsburgh, School Of Social Work. Start by completing a simple demographics form that you can find here: http://www.pacwrc.pitt.edu/ResourceDemo.htm. Once you have completed this demographic survey, you can begin required trainings through the Pennsylvania Child Welfare Resource Center. These trainings are meant to provide you with resources, strategies, and child welfare competencies to ensure that you are fully prepared to become a foster parent. If you have any questions along the way, please do not hesitate to contact us at FCCY. What is the financial compensation for being a foster family? In Pennsylvania, foster families are entitled to daily compensation per foster child. The amount of the stipend depends on the child and their specific needs. Keep in mind that the financial stipend is meant to assist in expenses rather than to cover all of them. Are there foster family support groups or organizations in my community? There are many foster family community groups in Pennsylvania. Chat with our team if you want local recommendations for foster family support. Am I responsible for health expenses? Foster families are not responsible for medical and dental expenses, as each child as Medical Assistance, private insurance, or other support in place. FCCY offers community-based adoption and foster care services in Pennsylvania. As a non-profit, social service agency, we are committed to connecting children in need to nurturing and supportive families. If you are ready and able to help a child in need, please contact our foster care agency in PA today.